This 3CD set presents the first complete recording of the organ works by Johann Kuhnau (1660‐1722). Kuhnau held several important posts in Germany before settling in Leipzig, where he was for many years Cantor of the Thomaskirche until his death in 1722, when Bach (a personal friend of his) took over. 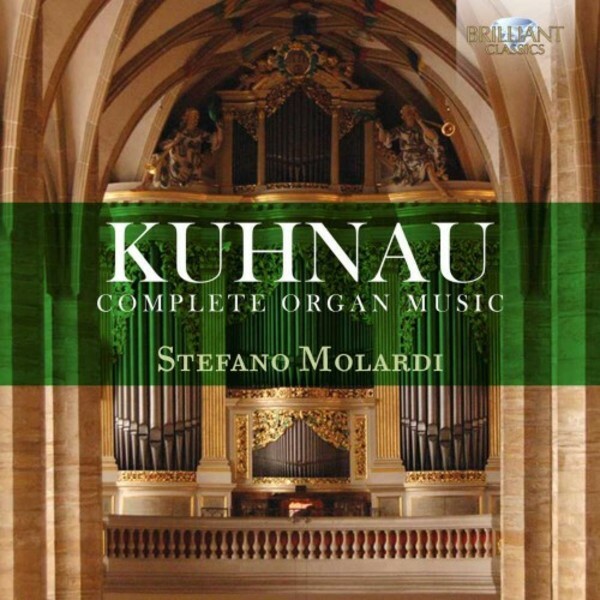 Kuhnau�s music is highly innovative: refined and beautiful melodies, skilful use of dissonances and a Corelli‐like elegance. He introduced Monteverdi�s 'affetti' in his organ works, creating the first instrumental 'programme music'. His 'Biblical Sonatas' are based on Old Testament scenes, depicted in expressive and telling phrases and instrumental effects. Stefano Molardi is one of the foremost Italian organists specialising in Baroque music. His many recordings (among which a highly praised complete Bach cycle on Brilliant Classics) have won great acclaim in the international press. The works are played on a magnificent historic 1714 Silbermann Organ of the Freiberg Dom, the complete specifications of which are included in the extensive booklet.